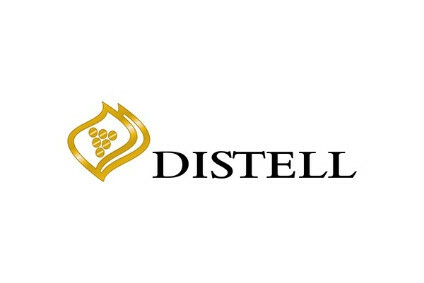 Earlier this year, South African multi-category drinks producer Distell set up a unit specifically for its higher-end wine portfolio. 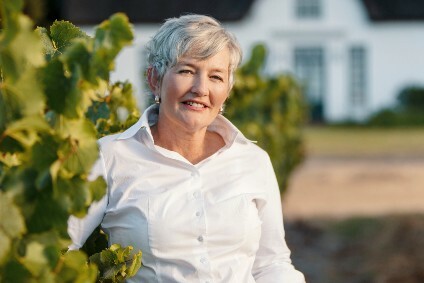 The CEO of Distell Vineyards & Estates, Carina Gous, spoke to just-drinks earlier this year about the new division, its plans abroad and the prospects for the broader South African wine category going forward. just-drinks: What was Distell's thinking behind the creation of Vineyards & Estates? 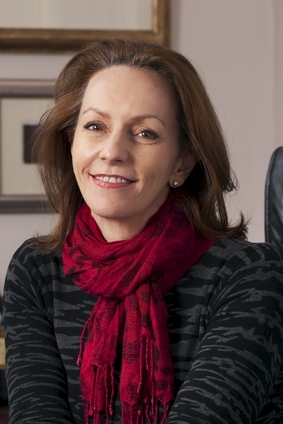 Carina Gous: The company wanted to introduce a much stronger focus on its high-end wine portfolio. From the business side, it's about the recognition that, when you are in the fine wine business, you are not strictly in the alcohol business. It's a more holistic approach to wine than just selling wine commercially. You need specific skills and capabilities to do that. Distell is not only a wine business; we also sell spirits, RTDs and cider. So, this is about getting the right kind of focus on and attention for our high-priced wines. This is aimed in South Africa at the ZAR50-and-above market, in the UK it'll be the GBP6-and-above proposition. j-d: What does Distell's wine sales footprint currently look like? CG: Currently our existing business is split 50-50 between South Africa and international. Up to now, we've been successful in the monopoly countries - countries like Sweden and Canada have been really good markets for us. So, we're looking at how to maintain existing markets and also which markets we want to focus on to grow. Going forward, the UK and US will be big focuses for growth, as will other African markets. In the east, there is Japan and maybe China to a slightly lesser extent. j-d: Why only "to a lesser extent" when it comes to China? CG: The way we think about it, China is not the answer to all your wine challenges. Some people see it as such: "If I make it in China, then I don't have to sell anywhere else. We realise that it's not that easy. We do have an existing partner in the country and we're working through our own structure as well. We see it more as a market where you need to make the right decisions and build it for the long term. It's easy to ship a few containers then never ship anything again. That's not the kind of business that we're interested in. j-d: The other markets you're targeting are quite mature, though. CG: The US is definitely for us potentially the biggest opportunity. The South African category there is so small and I believe there is a huge upside if we can all work together. On that front, Wines of South Africa is putting the bulk of its funds into the US. At the right price point, we can build a really solid growth business there. It's already growing fast and it's growing at the higher price point, which is really encouraging. j-d: How about the other mature markets you're targeting? CG: In the UK, I believe we haven't really put in the right kind of effort. Up to now, we've been working with the big five retailers and at the more commercial price-point. It's really our challenge now to pick up the right route-to-market for this particular portfolio in the UK. We can still really achieve an upside at the higher price point in this market. j-d: How big a priority is wine to Distell, given the healthier margins that can be found in spirits? CG: If you look at the three businesses in Distell, wine is definitely the most consistent. It's the solid backbone of the company. We have had times when spirits were up and then down, we have had times when cider was tiny and now it's big. Wine has always been stable, consistently growing, not at 20% but at 2%, and it's clearly delivering results year after year. I believe the company recognises that it is a crucial part of the business. j-d: Yet, historically, cross-category companies like Distell have struggled. CG: Distell was formed from Stellenbosch Farmers Winery and Distillers Corp. Stellenbosch Farmers Winery was a wine company with some spirits, while Distillers Corp was a spirits company with some wine. Therefore, we ensure that we stay quite a balanced business thanks to our culture and recognition of both categories. 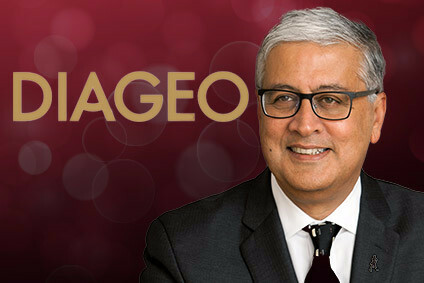 Also, if you have a spread of alcoholic products rather than operating in just one category, that helps us to deliver consistently to our shareholders. It's not easy, though, because it's complex: You constantly have to remind yourself that you can't apply the same rules to wine that you apply to spirits or to cider. j-d: While you may be focussing on premium wines in markets like the UK, the discount supermarkets are growing in popularity. CG: I think there will be big numbers coming from both the bottom end and from the premium end. That's no different to South Africa: Unless you capitalise on the entry level, new wine drinkers you're also missing a big opportunity. There definitely will be growth at both ends. j-d: Are you satisfied, then, with Distell's entry-level positioning? CG: We have many debates about this. Arguably, it's not so easy for us to always compete right at the bottom end, because we're not a primary producer; we buy in most of our wine. If you start competing with the co-operatives directly, who only need to add their margin, it does get really difficult for us. That's why we're more focussed on brand-building than the pure commodity end of the market. j-d: The US has long been a target for South African wine growth. Why has that potential still not been realised? CG: I think it has to do with the ability to invest enough money in that market. It has to do with the complex three-tier structure, and it has to do with how you get top of mind in a country where people aren't sure where South Africa actually is. That's why it needs to be a joint effort between Wines of South Africa really creating awareness of South Africa the country and producers putting in the investment and the feet on the ground to really get the brands sold through. On the Distell side, we've now put our own structure into the market, so we've become our own importer there. Then, you can have a direct influence on the distributors and on how your portfolio is treated. We believe this will make a very big difference. j-d: Are you satisfied with the way the South African wine industry is working together? CG: I think it is an incredibly exciting time for the overall category at the moment. For the first time, we can really see an effort to pull together all the different industry bodies and actually have an almost holistic wine charter for South Africa. There's a whole new energy to take the industry into the future. It's all been very positive. Now, we have to lift the image of the category and we have to focus on building the higher price points. j-d: What percentage of Distell's exports are shipped in bulk? CG: It's very tiny. We only actually ship bulk wine for one of our labels that is sold at Tesco. That accounts for less than 1% of our wine exports. We believe the impact of moving bottling offshore is unbelievably negative on job creation in South Africa. The one thing we desperately need is to give people jobs to help improve their lives. It's not only the direct effect on the people that work on our bottling line, it's also the effect on the label producer, the bottle producer, the carton producer. It's a whole knock-on effect on a lot of industries in South Africa where we really cannot afford to lose more jobs and have more poor people. From a social responsibility perspective, we are trying our best not to export in bulk. j-d: How difficult is it to balance this against margin pressures? CG: It is difficult. At the moment, with the currency the way it is, it's much of a muchness. If the rand gets a whole lot stronger, it becomes a lot more profitable to package the wines offshore. Three years ago, it was a massive difference. Going forward, we will absolutely try not to move the packaging offshore.